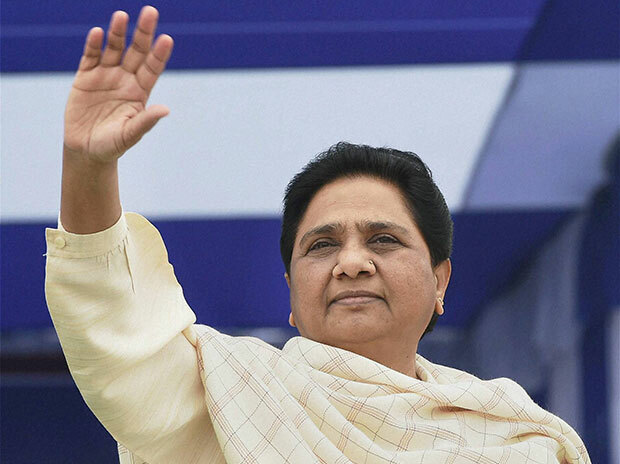 BSP chief Mayawati Wednesday announced she will not contest the upcoming Lok Sabha polls, but stressed it was not necessary to be an MP to become a minister or a prime minister. The statement announcing her decision pointedly mentioned that a minister or a prime minister has six months to become a member of the Lok Sabha or the Rajya Sabha. The Bahujan Samaj Party chief has in the past indicated that she is not averse to becoming the country's prime minister and posters put up by her supporters in Uttar Pradesh have pitched her for the position. "In view of the present circumstances and the need of the country and the interests of the party, the movement and the public, it is the need of the hour that I do not contest the Lok Sabha polls, Mayawati said. The former Uttar Pradesh chief minister asked party workers to not get disheartened with her decision. "When I became UP Chief Minister the first time in 1995, I was not a member of either the UP Assembly or the Council, she said. It is a similar provision at the Centre, where a person has to become a Lok Sabha or a Rajya Sabha member within six months of holding office of a minister or the prime minister, she added. Don't get disheartened by my decision to not contest the Lok Sabha polls now," she tweeted. The Dalit leader added it would not be a problem if there is a need for her to enter Parliament later. "If it so happens that I have to get elected to the Lok Sabha later, I can contest from any seat by getting it vacated and becoming an MP. I will not face any problem," she said. Mayawati claimed that all she has to do is to file the nomination papers and her party workers will ensure her victory. The BSP chief suggested that if she contests now, party workers will focus on her seat even if she forbids them, affecting the campaign in other constituencies. "Hence, winning each and every Lok Sabha seat is more important than my personal victory," she added. The BSP, Samajwadi Party and the Rashtriya Lok Dal have entered into an alliance in Uttar Pradesh for the April-May Lok Sabha polls. The Congress is not part of this pact, but the alliance has said it will not field candidates in Amethi and Raebareli, the two seats that are now with Congress leaders Rahul Gandhi and Sonia Gandhi. The Congress, in turn, said it will leave seven UP seats for the SP-BSP-RLD alliance, an offer that was spurned by Mayawati.